What is it about good food that makes a celebration complete? We love being a part of your best memories, including the “biggies” such as graduations, promotions, engagements and retirements. However, sometimes the fondest memories start out as a quiet mid-week dinner, a nervous first date or drinks with friends after a long day. 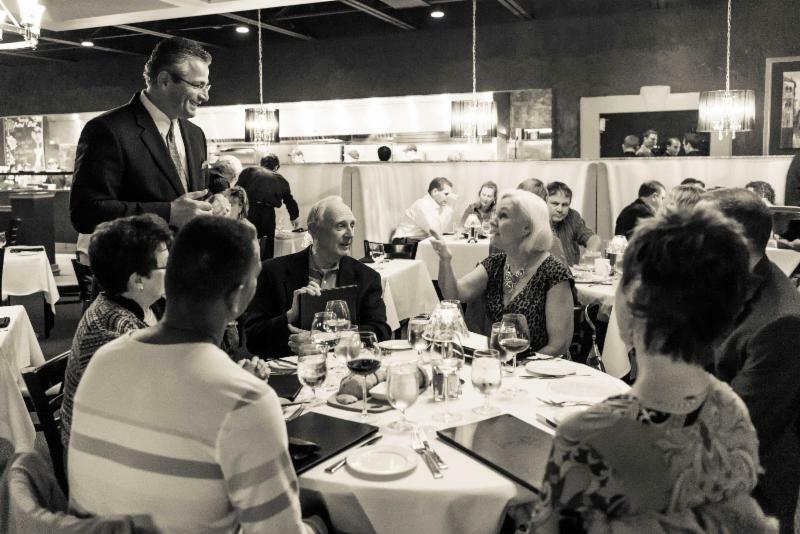 Whatever your reason is to dine with us, know that we are honored to be part of the magic, big or small. If you are looking for the best steak prepared by the best chef, look no further than Tony’s. 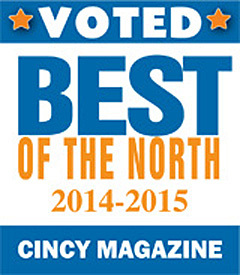 Thanks to all who came out in droves to vote for us at Cincy Magazine’s Best of the North Competition; Tony’s won the titles of Best Chef and Best Steak! 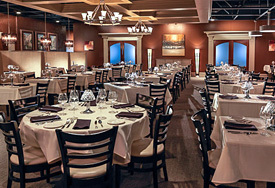 Come in and see for yourself why our steaks–and Executive Chef Mike Nelsen–made the A list! 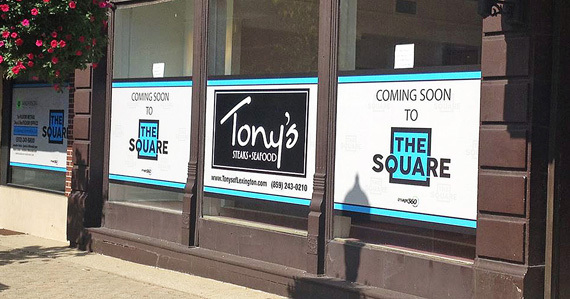 Let Tony’s help you tie the knot. Men, we have a groom’s dinner designed especially for you. Couples, have your rehearsal dinner here and receive a $150.00 gift certificate so you can dine with us after the honeymoon! New Zealand Rack of Lamb–our new selection is served with roasted fingerling potatoes, marinated grilled romaine and a rosemary mustard pan sauce. Bourbon Whipped Sweet Potatoes with House-Made Marshmallows–yes, they taste as good as they sound. Penne Carbonara–Shane’s (our General Manager’s) new favorite. Loaded with pancetta, sweet peas, baby arugula and Romano cheese. We also have several new fish preparations that are perfect for the Lenten season. 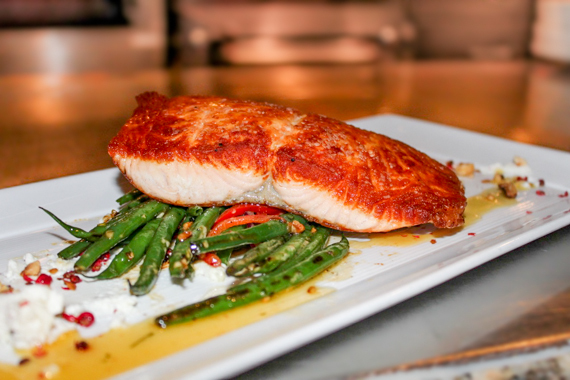 The delicious entree above is our Organic Scottish Salmon, served with sautéed green beans, peppers, onions, hazelnuts, goat cheese and a citrus vinaigrette. Click below to view all new items on our menu. The food by the way was great… Oh and I let my 9-year old daughter fill out the comment card and she was thrilled to receive a personally written note mailed from Michael addressed to “her and her family.” It was really cool and she was thrilled.